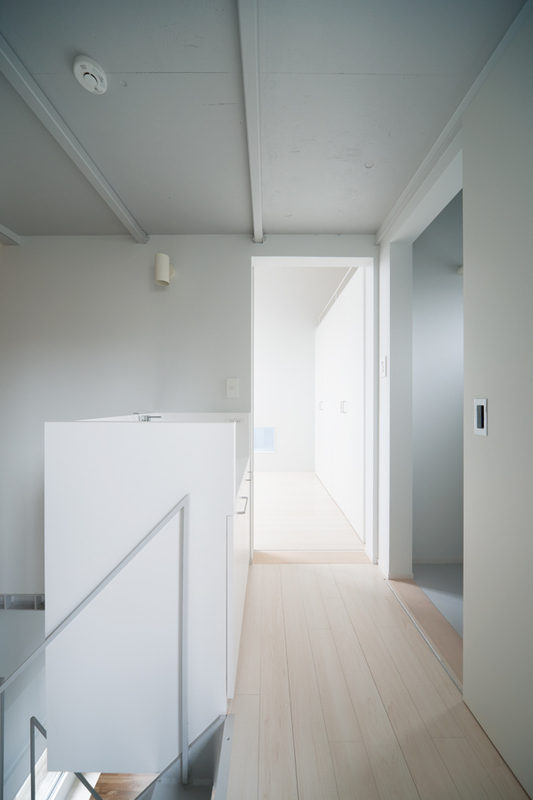 When a land owner dies, the successor has to pay a large amount of inheritance tax in Japan. 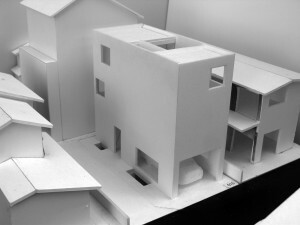 In many cases, he/ she is forced to sell the land when the tax burden becomes unbearable. For this reason, a land large enough to build a standard-sized house is divided in two or three housing lots to be put up on sale, or similarly designed prefab houses are built on these lots to be put up on sale. 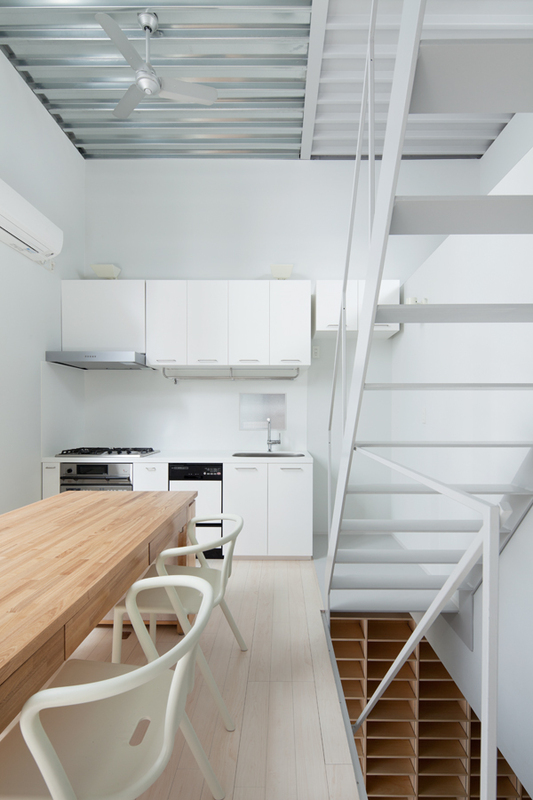 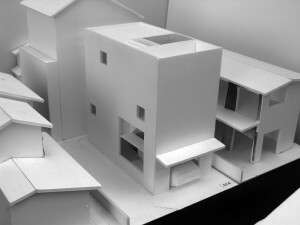 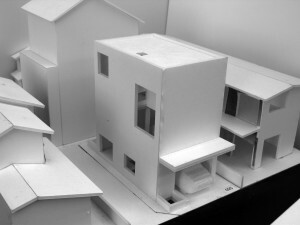 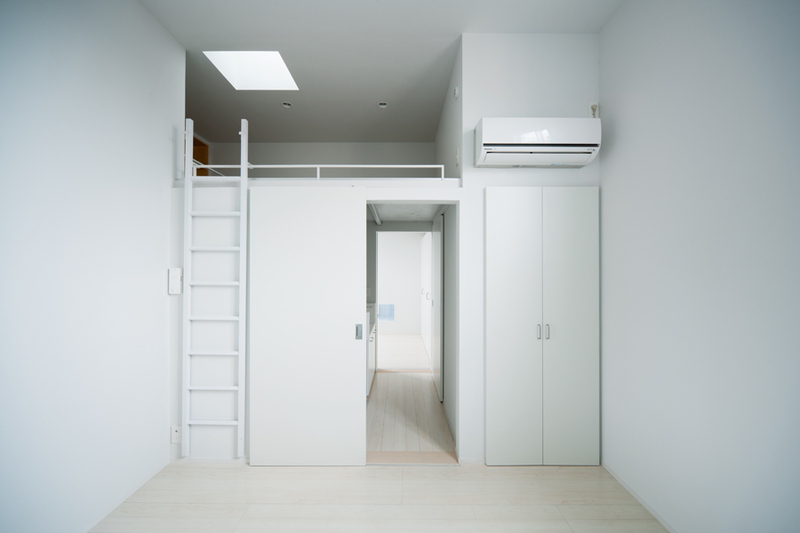 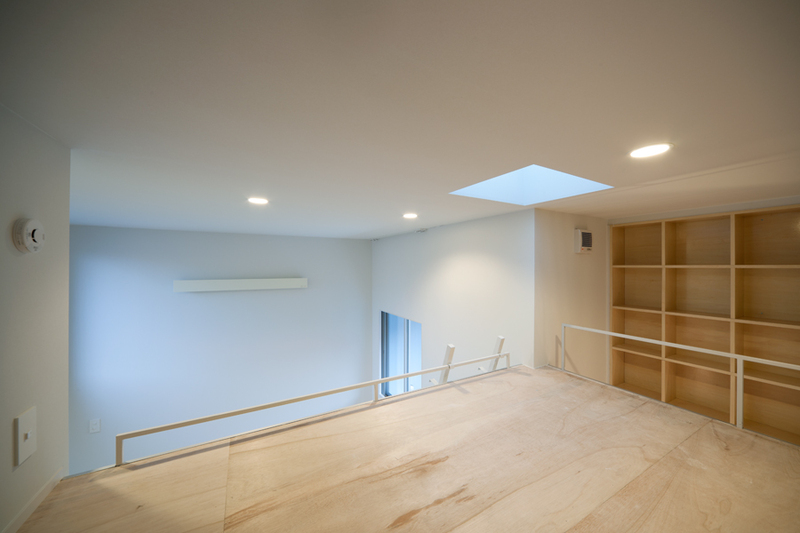 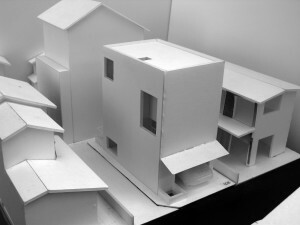 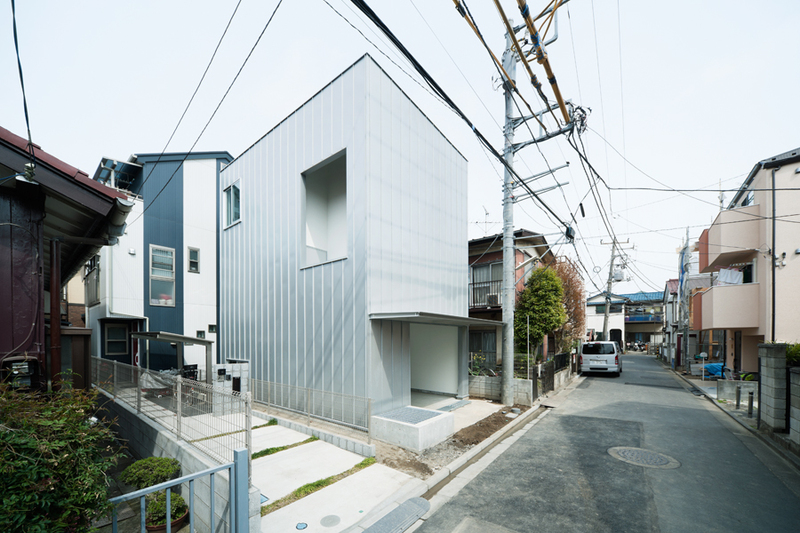 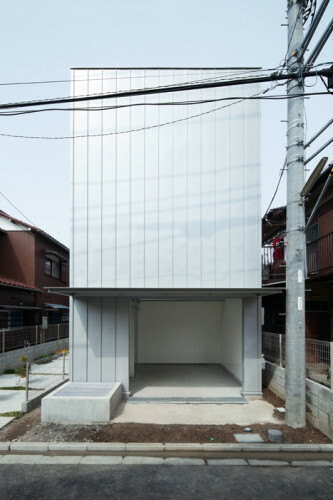 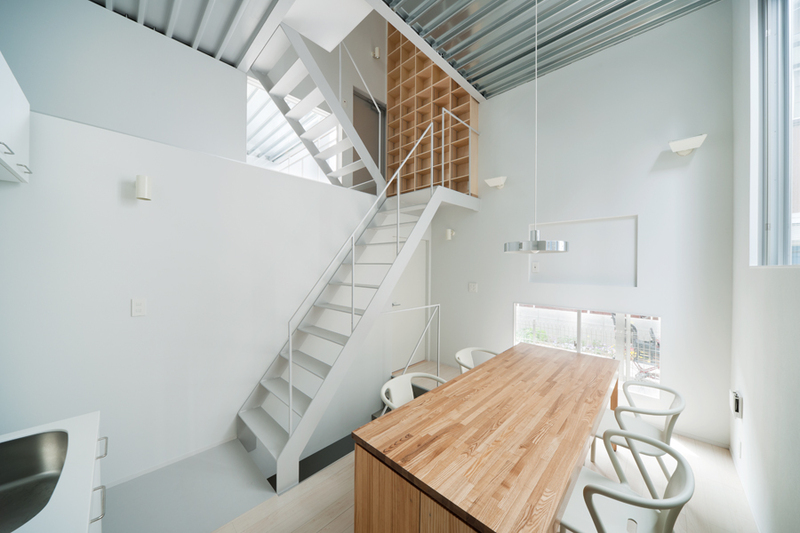 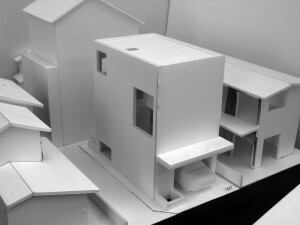 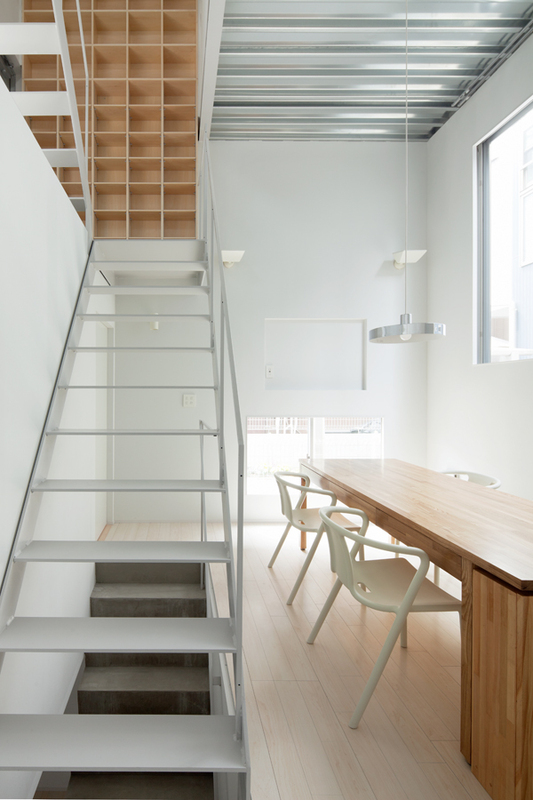 The client’s property was one of such small housing lots typical of Tokyo, where the original land was divided in two (in front and back portions). 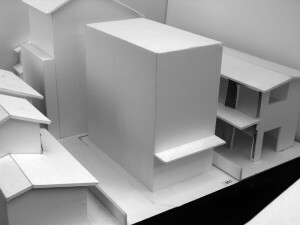 The site is almost fully occupied when a car is parked. A typical layout for this kind of house would be to place a garage, entrance and bathroom on the first floor, a living room on the second floor and a bedroom on the third floor. However, we did not want to impose such a prescribed life style. The geographical condition presented a breakthrough opportunity. 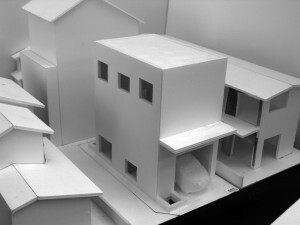 The substrate layer was located at a perfect depth. 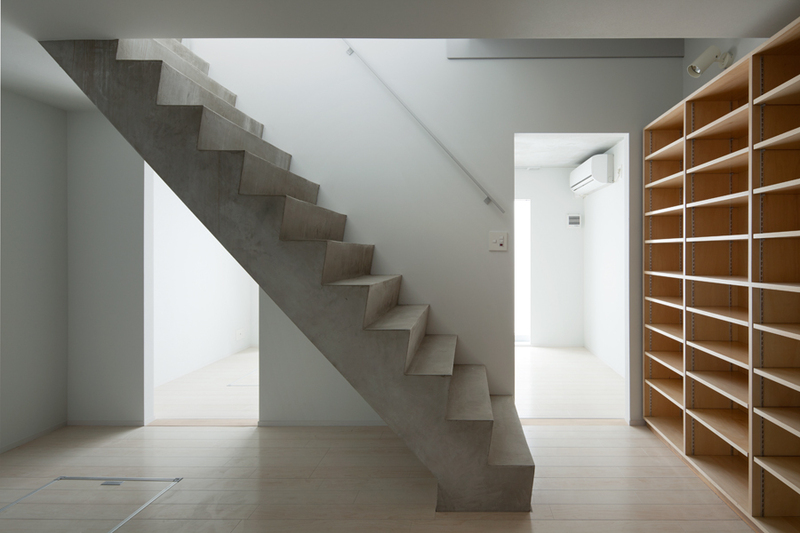 If we would build a lightweight steel structure above-ground with a concrete basement floor, it would be deep enough to support the structure without pile foundations. 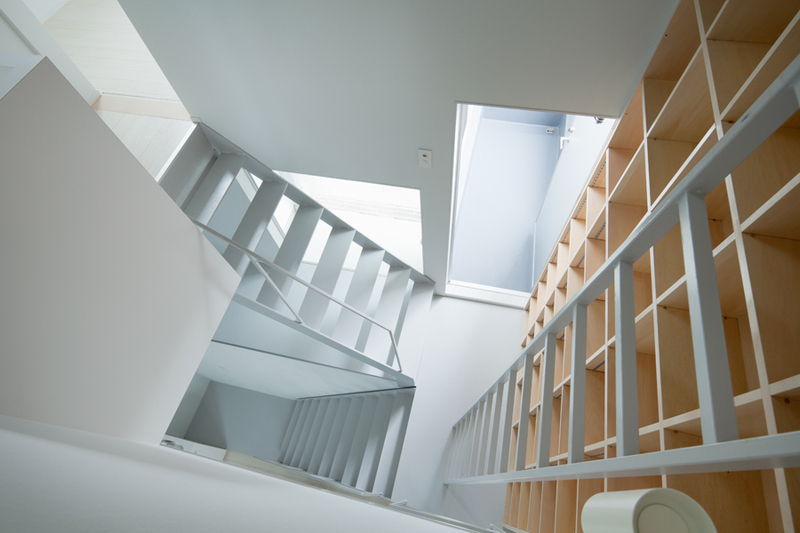 Although it would cost more to build a basement floor, the construction cost of two above-ground floors with a basement without pile foundations would be the same as the construction cost of three above-ground floors with pile foundations. 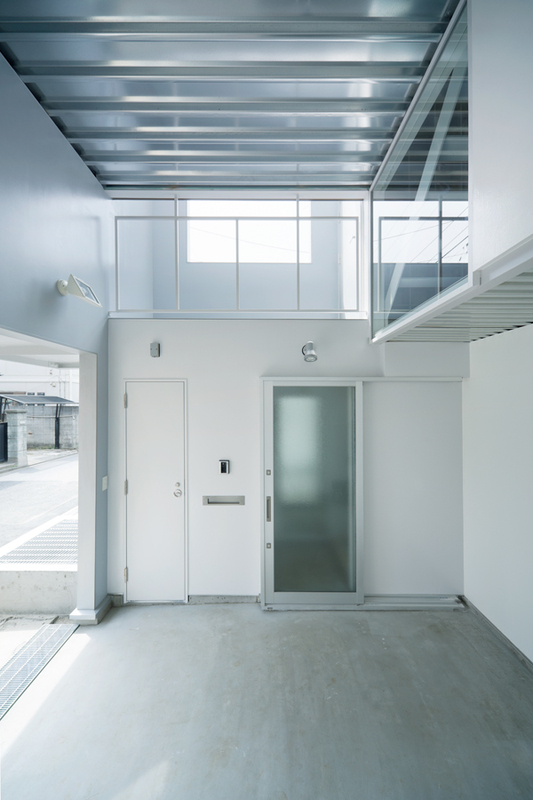 In addition, if we build two above-ground floors to reach the maximum allowable height that is high enough for three above-ground floors, we can make the floor height of the first and second floors 1.5 times more than the typical floor height. 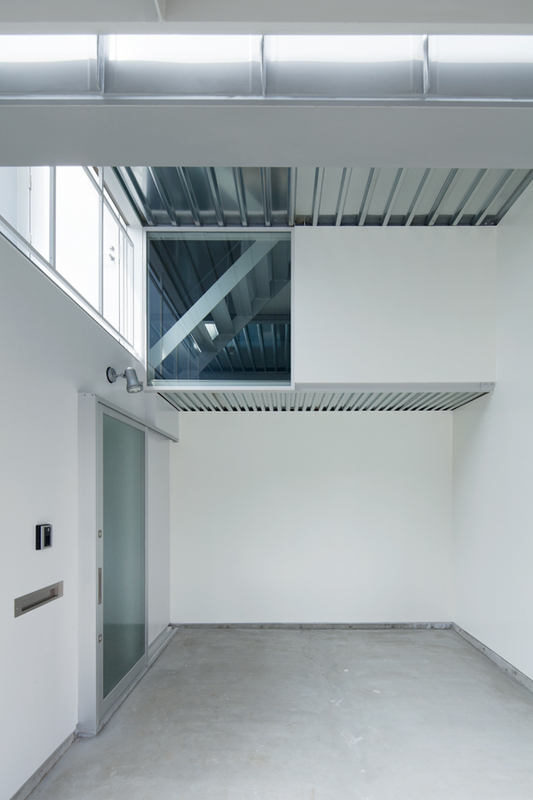 Contrary to a typical garage with a minimum ceiling height just enough for a car, we provided a garage with sufficient height and ample natural light like an entrance hall. Placement of windows had to be determined very carefully to protect the family’s privacy in the dense urban environment and the front facade became windowless in the end. A large chimney-like space, connecting the light court in the basement and the void space penetrating through the first and second floors to the roof skylight, distributes sufficient air flows through the entire space. At the end of the design process, we conceived a house like a storage with a garage, deep eaves and large wall surfaces with few windows, and I named it, “Storage House”. 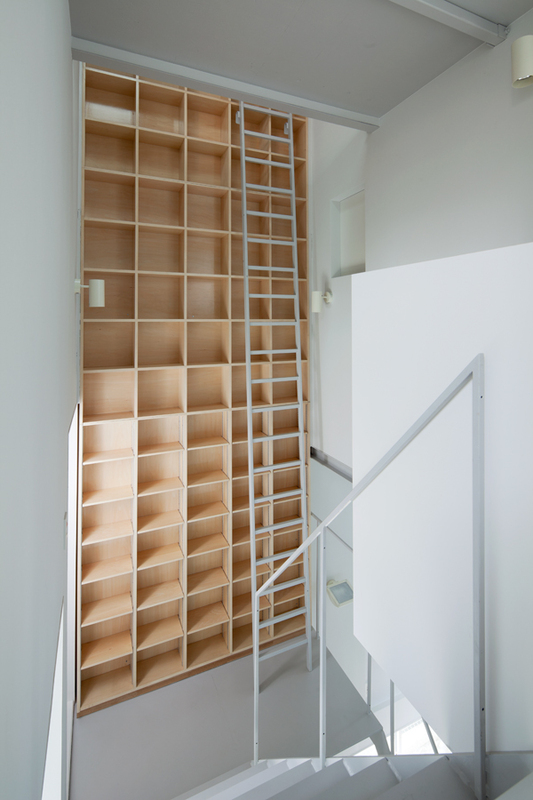 The client told us that he likes the name –– because he works for a publishing company and feels an affinity with storage.